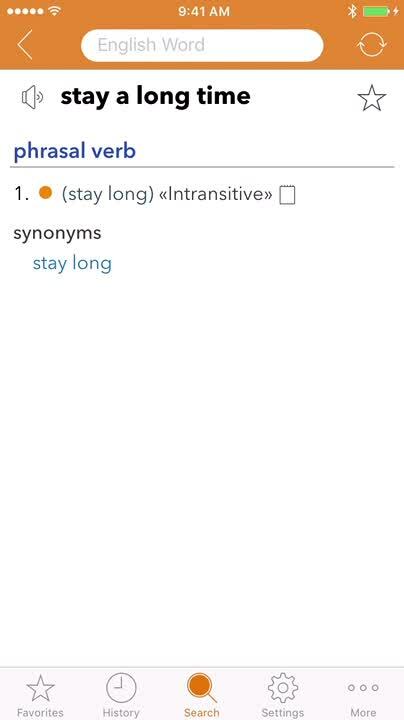 Whether you need word definitions for school or synonyms for an article, having handy dictionary and thesaurus apps can save you time and keep you working. 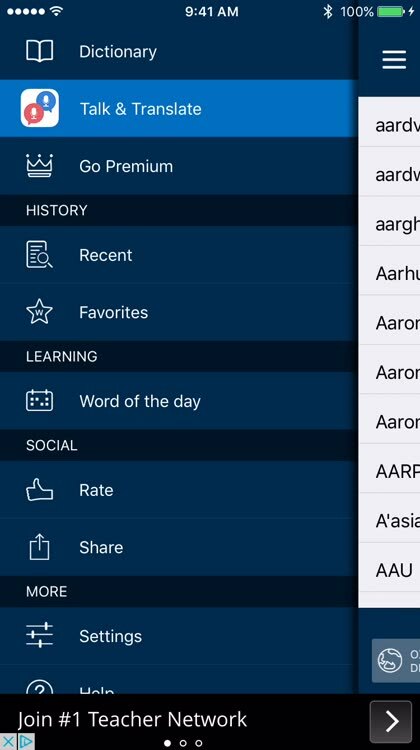 If you use both a dictionary and a thesaurus often, it can be better to have one app that keeps them together. These combination reference apps offer terrific features for all your word needs. 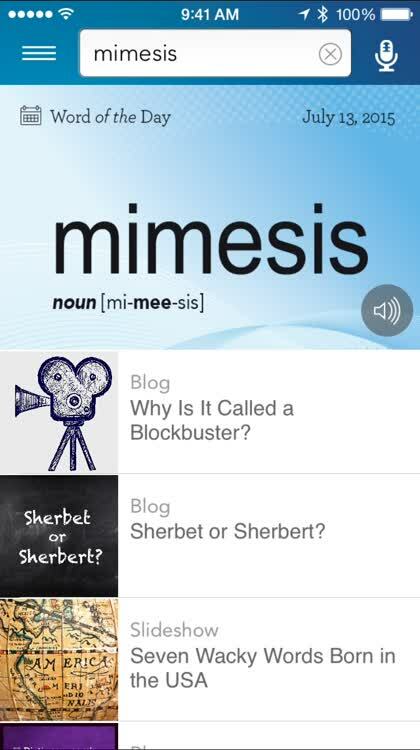 For a dictionary and thesaurus combo, this app has usage examples, quick definitions, and more. For those who want a dictionary and thesaurus app with great extra features. Merriam-Webster Dictionary & Thesaurus is a wonderful option if you are looking for an all-in-one reference. 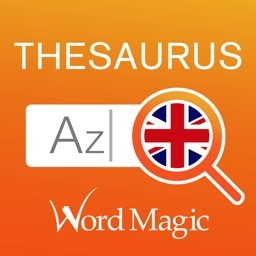 The thesaurus offers over 200,000 words and examples. 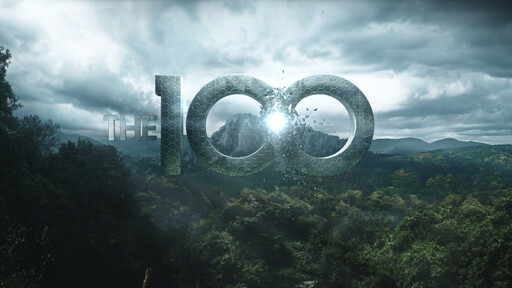 The voice search and audio pronunciations work well, the quizzes and word of the day are fun additions, and saving your favorites or viewing your recent words are handy features. 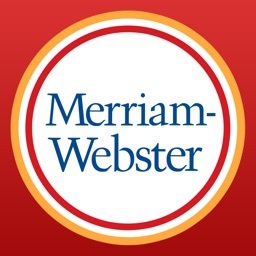 Merriam-Webster Dictionary & Thesaurus is a terrific reference app if you look up words often. 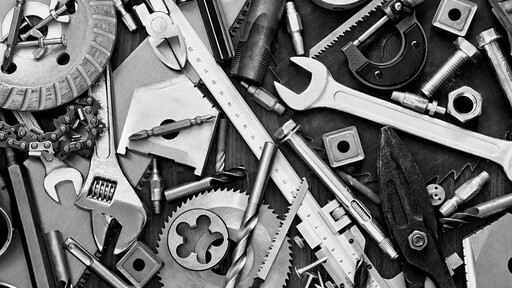 Whether for business, pleasure, or school projects, you cannot go wrong with this comprehensive tool. 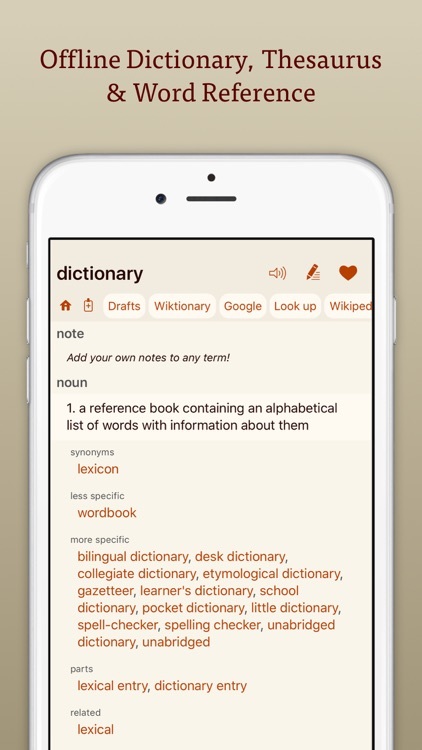 For a dictionary and thesaurus in one, this app has voice search, translations, and much more. For those who want a dictionary and thesaurus app with tons of extra, useful features. 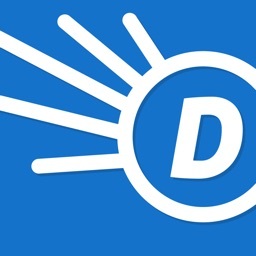 Dictionary.com Dictionary & Thesaurus is the perfect app for those who want both references in one. 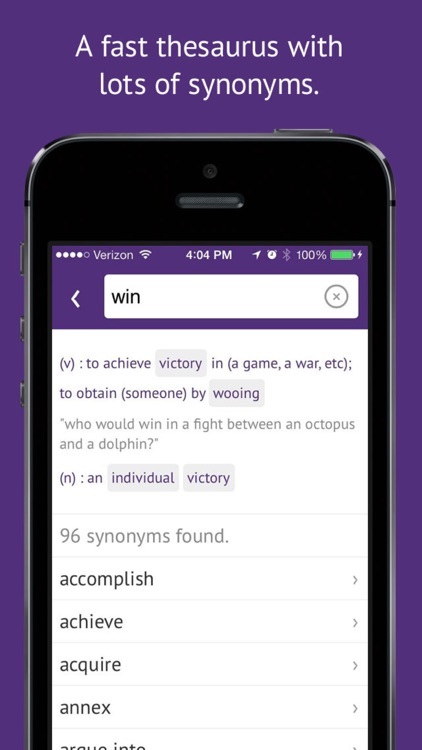 The extensive features make this app a definite must-have if you look up and search for words often. Use the voice search for look-ups on the go, check out the quiz widget to test your knowledge, translate words into over 25 languages, and save your favorites so they are always at hand. For definitions, synonyms, word history, and more, Dictionary.com Dictionary & Thesaurus is a superb reference. Find a word, learn a new one, and translate into other languages, all with one simple app. For anyone who needs a dictionary and thesaurus in a single app. 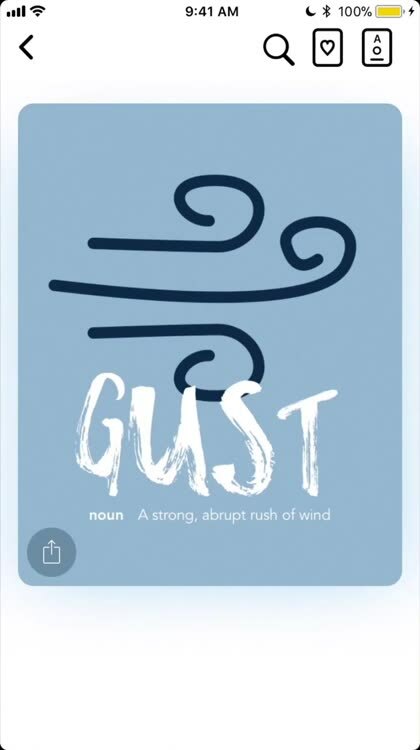 For English dictionary apps providing standard definitions, word origin and history, usage examples, and learning tools, check out these great options. 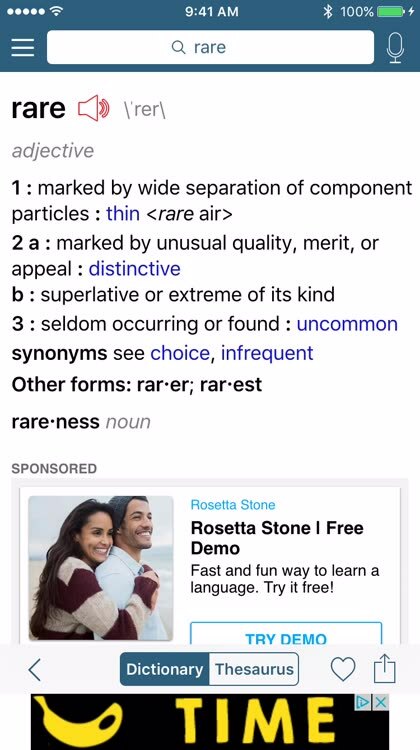 This dictionary app offers search options, learning tools, and a huge list of common and rare words. For those who want an intuitive English dictionary app with extensive features. 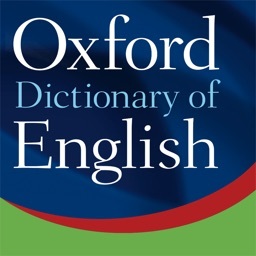 Oxford Dictionary of English Free is a terrific English dictionary app with a variety of options. Search with handy predictions as you type, use the camera viewfinder to look up words easily, and enter keywords to search within words and phrases. The learning tools are helpful with sections for favorites, recent look-ups, and the word of the day. If you are looking for a simple-to-use English dictionary with great bonus features, look no further than Oxford Dictionary of English Free. For those who want an English dictionary with etymology and content in one search. 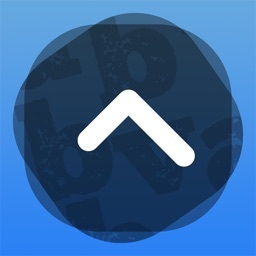 LookUp is an elegant dictionary that makes it fun and easy to look up words. You can also get a Word of the Day and build up your vocabulary. Share your new favorite words with others through iMessage. For more than just simple searches, LookUp: An elegant dictionary gives you extra details on your lookups. Is There Another Word for…? For writing term papers, song lyrics, or news articles, a convenient thesaurus app on your device lets you stop repeating the same word and find the perfect replacement. This thesaurus offers over a million synonyms and antonyms, offline access, and Dropbox syncing. 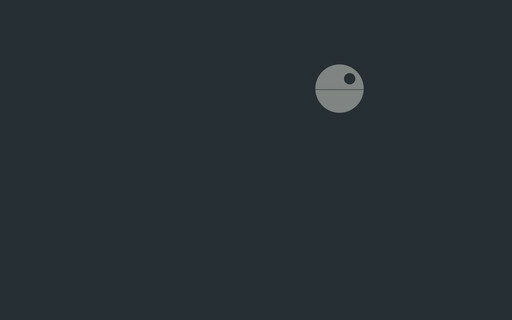 For those who want a thesaurus with words, images, phrases, and a customizable look. English Thesaurus offers easy navigation for your favorites, recent words, customizable settings, and searching. The regional flags, audio pronunciation, and quick linking between words provide a useful and smooth experience. 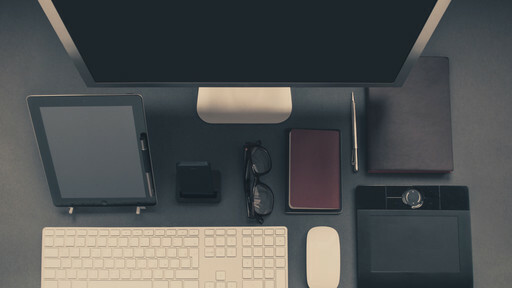 You can also sync with Dropbox, adjust the font style and size, and pick a theme. 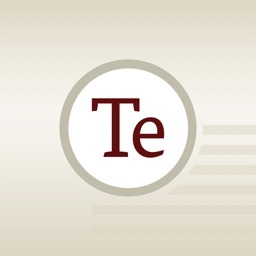 English Thesaurus is a great word-finding app for any project. 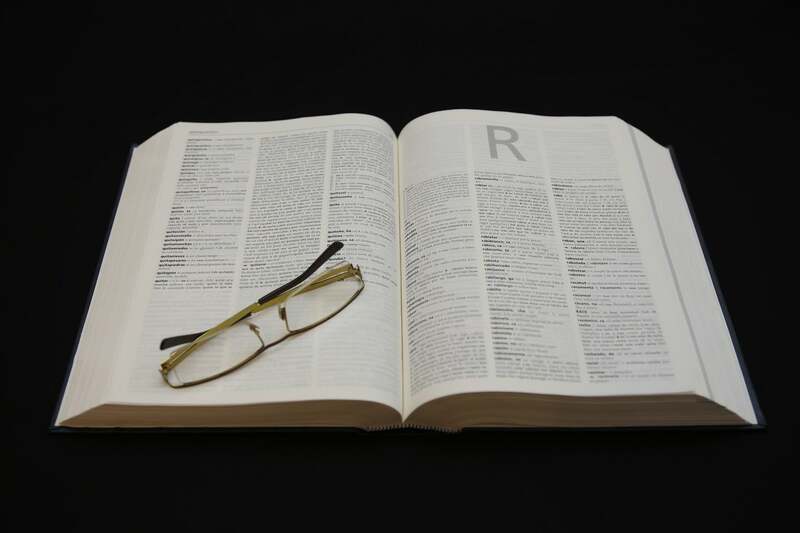 English Thesaurus has a vast database, so finding the word or phrase you need is simple. Save your favorites and listen to pronunciations with an intuitive option. For those who want a simple thesaurus for fast lookups. Thesaurasize gives you the synonyms for your word searches fast. You can see the definition at the top and then the synonyms right below. Tap any word for more details. The app is quick, easy, and basic, but gets the job done. 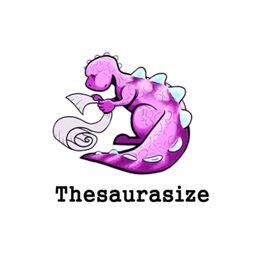 When you want to search quickly for a synonym, Thesaurasize can help.